Every year on Christmas Eve my mom lets me open one gift and every year it’s Christmas pajamas! She buys herself the same pair and it’s become a family tradition- one I love very much. 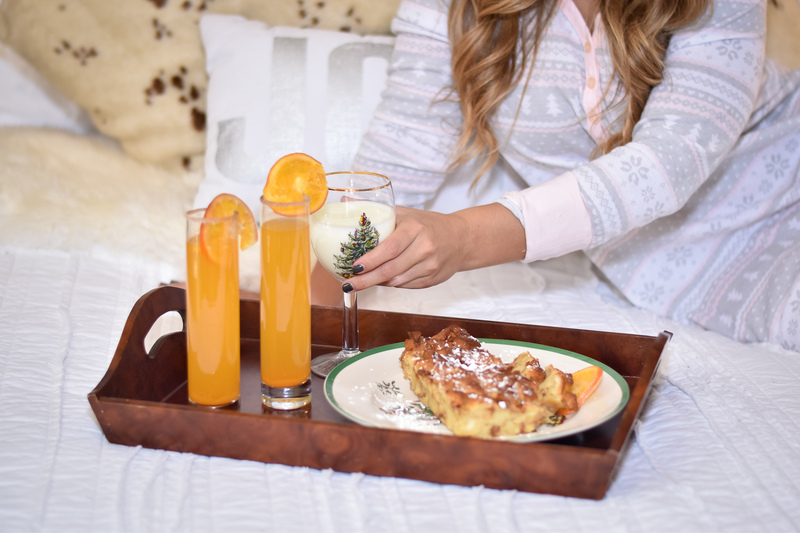 We also make an elaborate and delicious Christmas breakfast so today I am sharing my favorite Christmas PJs and a mouthwatering Breakfast Orange Bread Pudding the whole family will love! 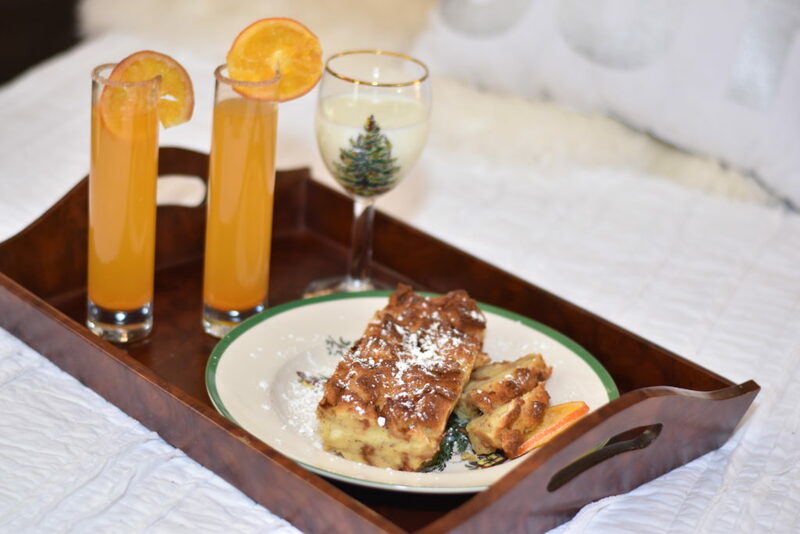 And a spiced Christmas Mimosa for the adults, because hey, it’s the holidays! 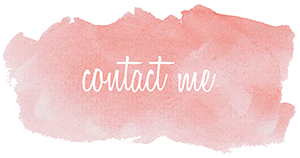 These recipes are so easy you’ll be able to impress all your family and guests but you won’t have to slave away in the kitchen! Spray large baking sheet with no-stick cooking spray bake tools 1 inch apart for 8 minutes or until golden. Remove from baking sheet to cooling rack. Allow to completely cool and reduce oven temperature to 350°F. Spray 8-inch rectangle bread pan with cooking spray. 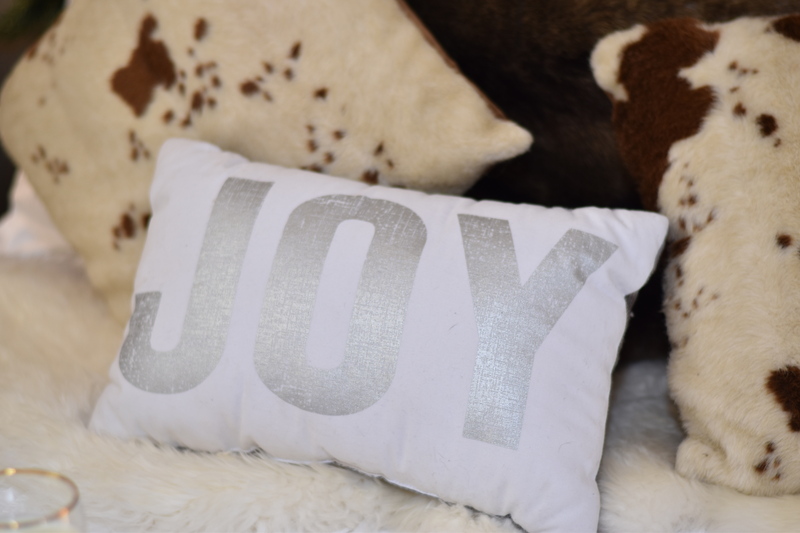 Cut rolls into 1-inch pieces and set aside. In large bowl, mix 2 cups half-and-half, whole eggs, egg yolks, sugar, orange zest and cinnamon until well blended. Gently stir in roll pieces and pour into pan. Bake at 350°F for 50 or until toothpick inserted in center comes clean. Meanwhile, in a saucepan, heat icing (from both containers of rolls), 1/4 cup half-and-half and butter over low heat, stirring occasionally, until butter is melted. Stir in vanilla. 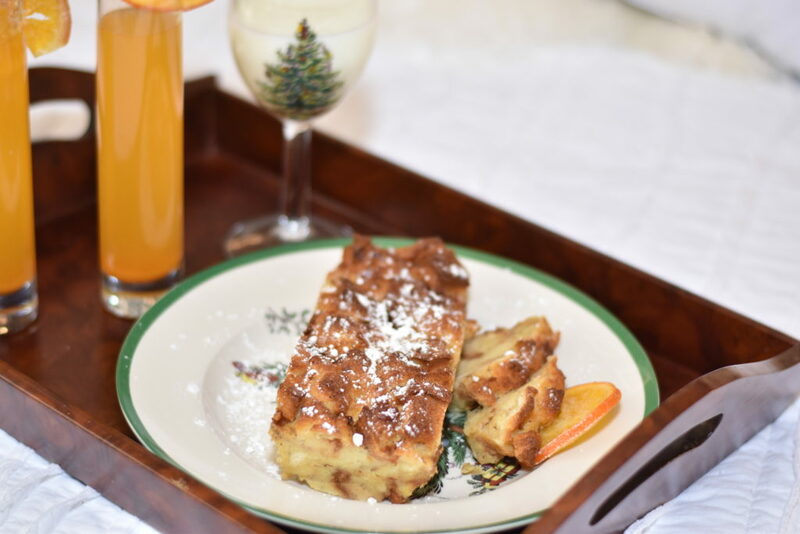 Cut warm bread pudding into slices, sprinkle with powdered sugar and drizzle with sauce. In a large pitcher combine champagne, juice, cinnamon and nutmeg. On a small plate combine sugar rim ingredients. On a different small plate, squeeze about 2 tablespoons of agave nectar. Dip edge of each champagne flutes lightly into the nectar then into the cinnamon sugar mixture. Refrigerate on a plate upside down for at least 15 minutes- I like to do this step before bed on Christmas Eve so the glasses are prepped and ready first thing Christmas morning. 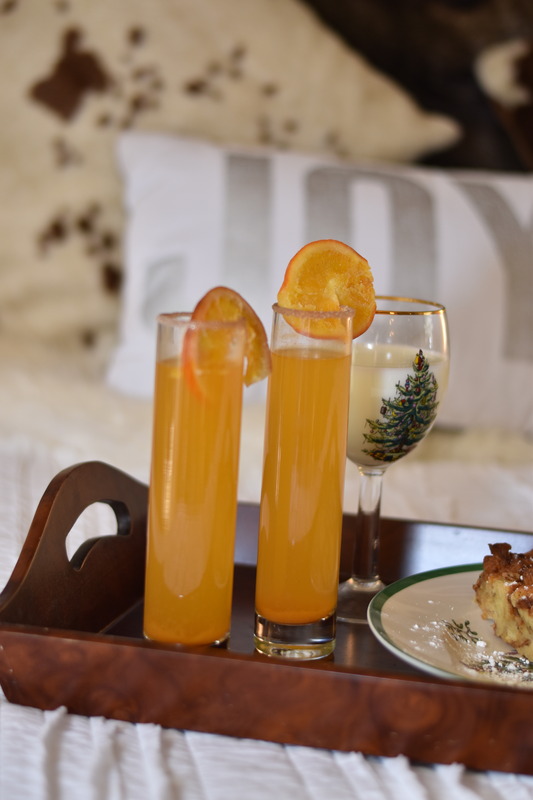 Fill glasses with the juice and champagne mixture and garnish with a sugared orange.